part of the "Elafiti islands" near Dubrovnik. 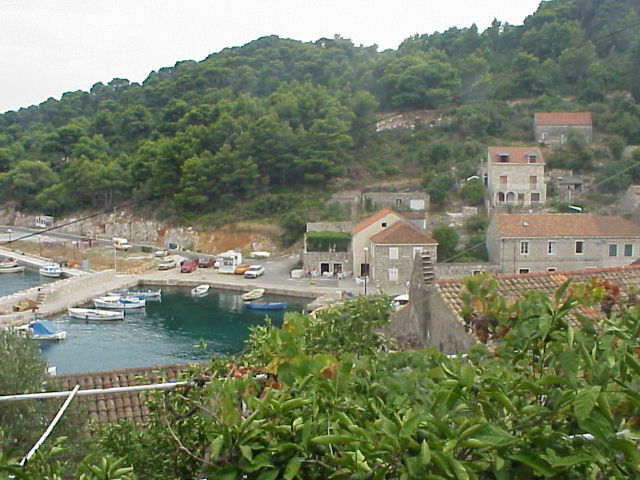 The island of Šipan is the largest of the Elafiti islands and has the most inhabitants. The surface area of the island is 16,5 km2 and the highest point is Velji Vrh and goes up to 243 meters. 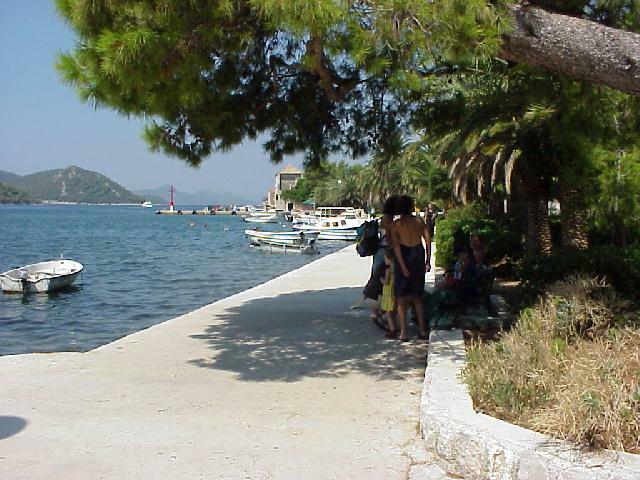 Šipan is a long-stretched island with two villages. Both are sheltered by the wind by deep-setted bays. 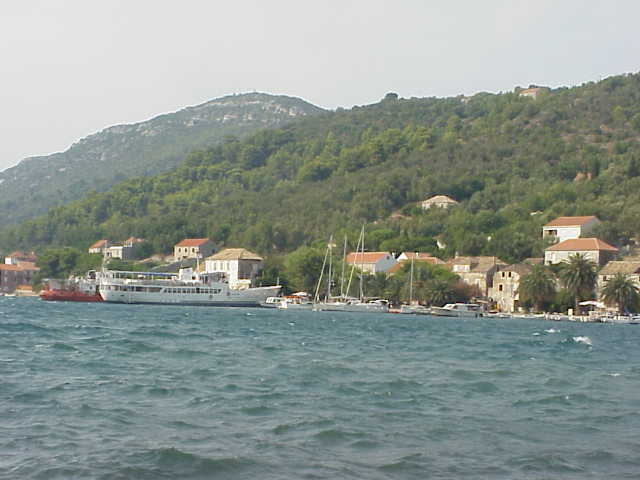 The village Suđurađ has about 250 inhabitants, but has a very important harbour, where a car-ferry can board. 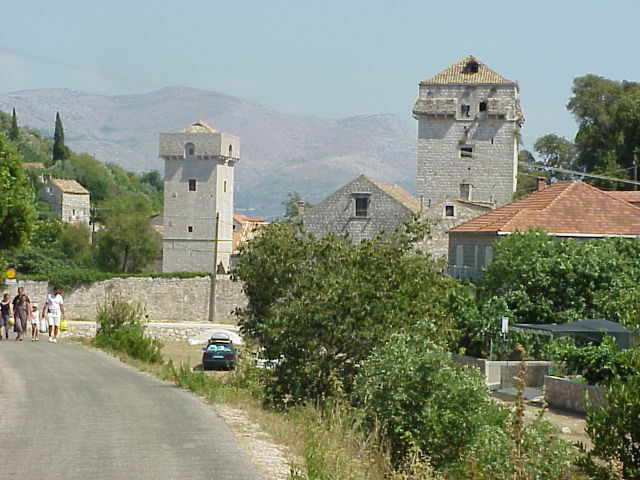 The other larger village is Šipanska Luka with over 300 inhabitants. Between these two settlements lies a motor-road of approximately 5 km. in length, which leads to beautiful large fields and planes inland which have a lot of orchards and vineyards. The name motor-road is only because of its function. This road is made for the bus-connection between the two settlements. Taking a stroll of at least an hour from one to the other village we met three cars and the bus. By the Koločep-canal, which is 1500 meters wide, Šipan is divided from the shore and is surrounded by several small islands. 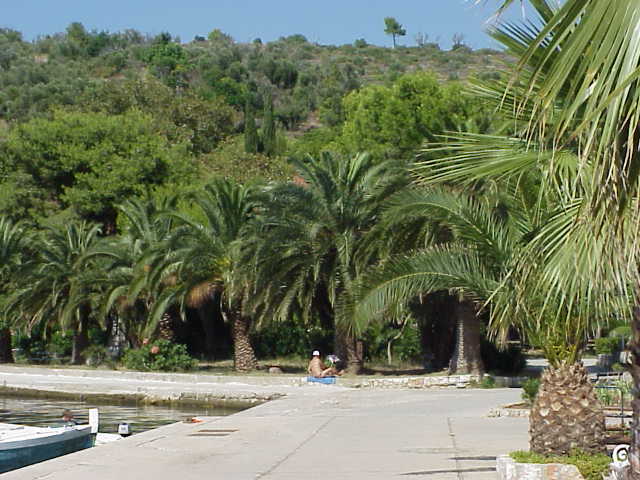 Most visitors are attracted by the various bays of this island. The clear swimming-water and the aboundance of fish in this area attract a lot of tourists, daily-trips, excursions and fish-picnics organised by ship-owners of Dubrovnik. 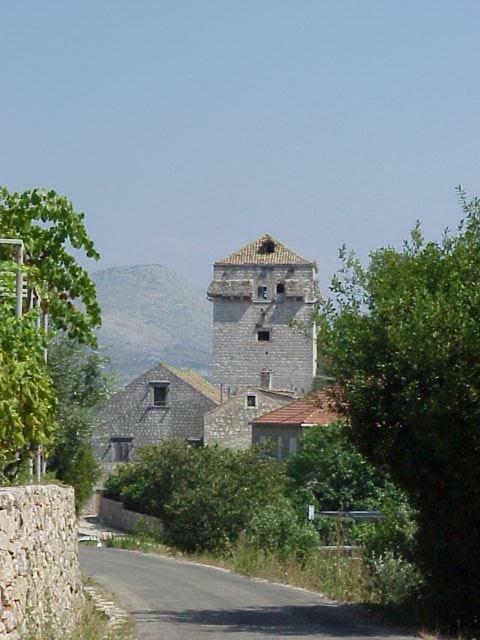 The island consists of a fruitful and fertile valley, Šipansko Polje surrounded by two lime-reefs. Here there are a lot of grapes and olives cultivated, but also St. Johns-bread, figs and almonds are frequent grown. Further there are fir trees, cypresses and palm trees and of course mediterranian plants and bushes. 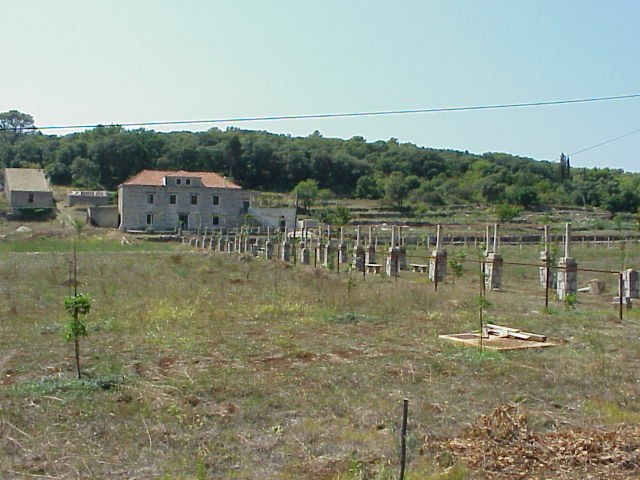 Šipanis have long inhabited the island. In old documents of Dubrovnik the next names are used: Jupana, Zupana and Supana. The present name of Šipan was first used in the year 1371. Much is not known about the history of Šipan, but a defence-wall dated from the Illyrian times was found and Romans have been here. 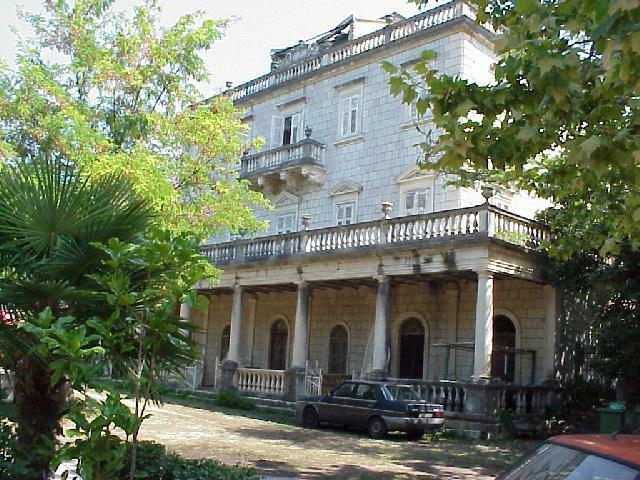 Proof of this is de villa Rustica in Šipanska Luka and the preserved stones with inscriptions. 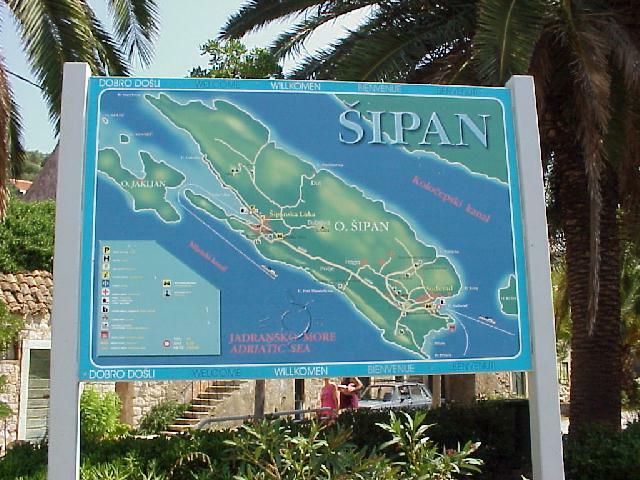 The history of Šipan is strongly woven with the history of nearby city of Dubrovnik. Spread across the island are about thirty scattered churches, which already had been built in the middle-ages, a lot of them however have collapsed into ruins. 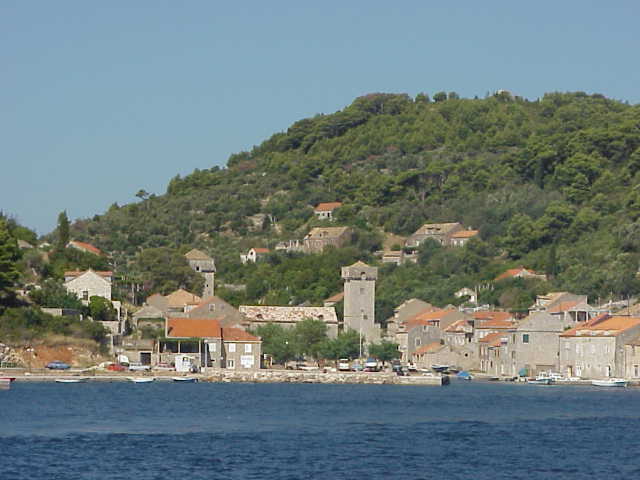 In Suđurađ, directly in front of the harbour, lies the renaissance fortress of the family Stjepović-Skočibuha, of which its building had started in 1529. 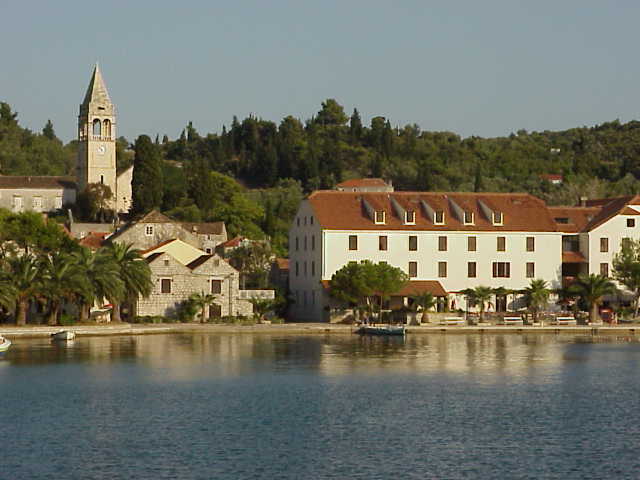 Other special buildings are the tower of Pakljena from 1563 and in Suđurađ the “Holy Ghost church” with a flat roof, that has the largest cover in this way on the Adriatic coast. Next to the hotel, in Šipanska Luka, there are also a lot of private pensions with rooms and apartments for rent. This is a central location for several excursions and tourist activities.